So, you only have 24 hours in San Francisco. First things first, we’re sorry you can’t stay longer in our historic, charming and entertaining hometown. But don’t worry, you’ll have plenty to do to fill your day! Instead of making a beeline to the Golden Gate Bridge, take a moment to pause and go through our locals’ guide. Here, you’ll find the sights, the businesses, the restaurants, the coffee shops, the breweries and the cocktail bars you have to visit before you leave. If you plan your day right (and wake up bright and early), you’ll be able to visit everything on our one-day itinerary. The sheer number of sights and landmarks in San Francisco can be overwhelming whether you’re in the city for one day or a whole lifetime. If you’re limited to 24 hours, these are your must-see sights. On most one-day itineraries in San Francisco, you’ll find the Golden Gate Bridge at the top of the list. 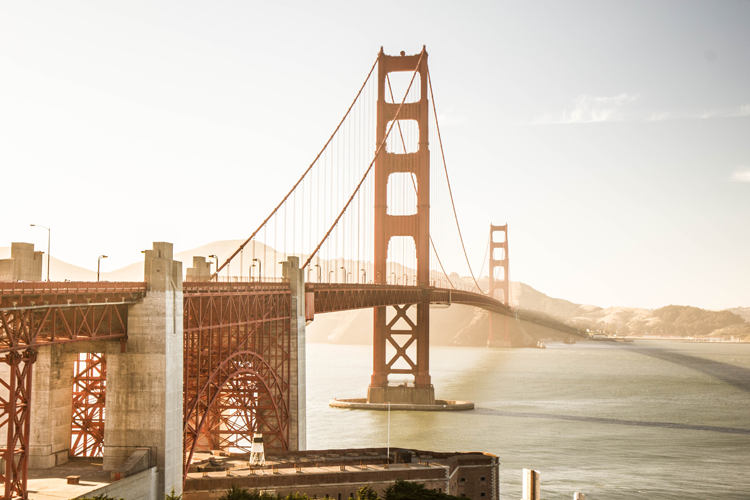 But the Presidio is where you’ll get your best view of the famous bridge and you’ll also get to see the Palace of Fine Arts Theatre, Crissy Field and Baker Beach. The incredible views and landmarks are surrounded by hiking trails, history and more. For more information on everything you can do in the park, check out the Presidio Trust. Conveniently located on the route from the Presidio to Pier 39, Ghirardelli Square is much more than a fly-over (or fly-through) sight. The landmark public square is considered the first successful adaptive reuse project in the country and has a history that goes back more than a century. It’s home to The Cheese School of San Francisco, San Francisco Brewing Co., Subpar Miniature Golf and, of course, Ghirardelli Chocolate Company where you can snag chocolates, ice cream and more. Pier 39 is one part of the famous Fisherman’s Wharf neighborhood of San Francisco. Jutting into the San Francisco Bay toward Alcatraz Island, the pier offers shopping, dining, drinking and fun like Musée Mécanique, Aquarium of the Bay, and the famous Pier 39 sea lions. To find information on everything you can do and see on the pier — including events — check out the website. Seen best from Alamo Square Park, a visit to San Francisco’s famous Painted Ladies will introduce you to one of the city’s most charming open spaces. The houses themselves are some of the most photographed in San Francisco and you’ll probably recognize them from both Full House and Mrs. Doubtfire. 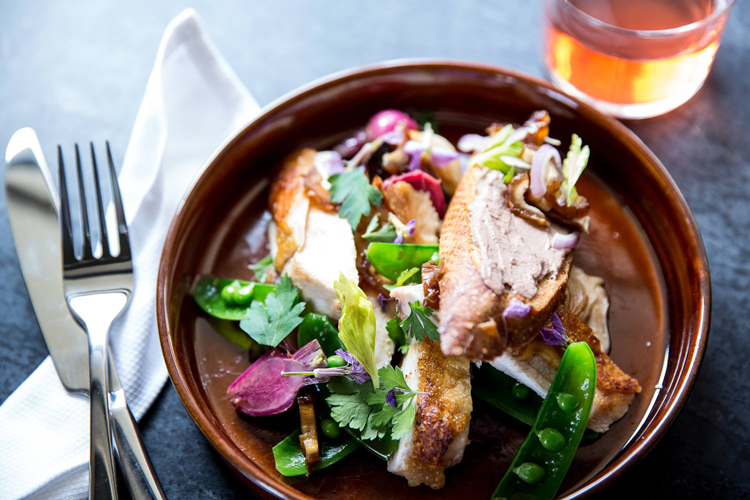 You’re also within walking distance to the Divisadero Corridor which is home to famous restaurants like Nopa, Bar Crudo and Brenda’s Meat & Three. From there, it’s just a hop, skip and a jump to the attractions of Golden Gate Park! It would take a lifetime in San Francisco to eat at every local, landmark eatery. With only a day, we rounded up a few of the best that are near our must-see sights and which showcase some of the city’s history and flavor. For more specific cravings, check out The 25 Must-Try Burgers in San Francisco, The 16 Essential Pizza Places in San Francisco, and The 15 Best Restaurants with the Best Views in San Francisco. Located in the Presidio, The Commissary is a Spanish-inspired food and drink destination brought to the city by award-winning chef Traci Des Jardins and the Presidio Trust. It’s one of the San Francisco Chronicle’s Top 100 Restaurants in 2018 and a quick look at the dinner menu will explain why. Featuring tapas, appetizers, entrees and mouth-watering desserts, it showcases Spain’s influence on Northern California, San Francisco and the Presidio. Arguello comes from the same team, is also located in the Presidio, and offers lunch and weekend brunch, too! With the added bonus of offering breakfast all day, The Buena Vista is one of San Francisco’s famous historic restaurants. It was 1916 when the first floor of the building was converted from a boarding house to a saloon. Ever since, it’s been a mainstay for visitors, locals, fishermen and business people alike. If you’re looking for the most famous thing on the menu, start your meal with an Irish Coffee. 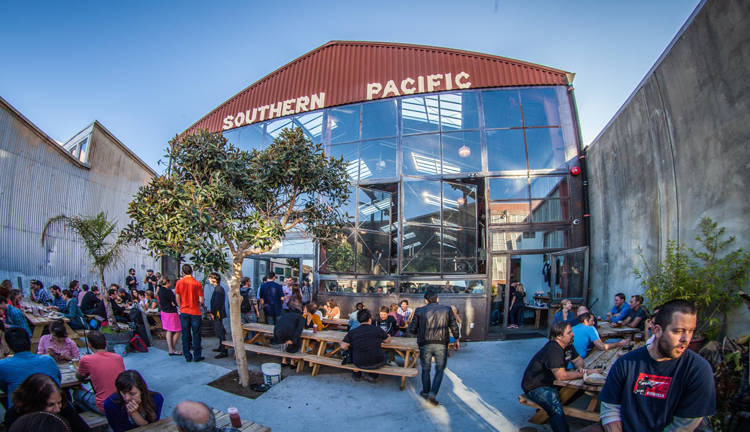 Located in one of San Francisco’s most famous foodie neighborhoods — the Mission District— Southern Pacific Brewing pays homage to its neighborhood and hometown roots through its name, its warehouse space, its handcrafted food and its true-to-style beers. With both an upper mezzanine and an outdoor patio, the brewery itself is as welcoming as the food and drinks. So grab a seat inside or out, order up your Brass Hat Burger with a craft beer and get ready to settle into your new favorite San Francisco brewpub. Nestled in San Francisco’s bustling downtown, Marlowe is a casual but upscale eatery inspired by a classic butcher shop. The meat-centric menu and creatively designed interior are the ideal setting for one of the city’s best burgers, but you’ll also find items like a Charred Octopus & Grilled Squid Salad, Pan Seared Scallops and one of the best cocktail lists in town. Again, you’ll need a lifetime (probably longer) to sip every outstanding coffee, craft beer and cocktail in San Francisco. If you can handle a cup of coffee, a pint of beer and a cocktail all in one day, here are the places you need to go for each. For more local spots in these categories, check out The 17 Best Coffee Shops + Roasters in San Francisco, The 14 Best Brewpubs in San Francisco and The San Francisco Cocktail Bar Bucket List. 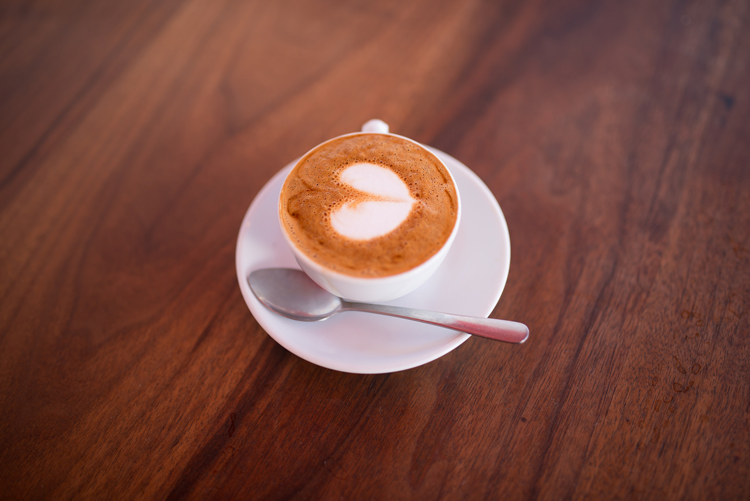 At Ritual, everyone embraces the craft coffee movement — from the farmers to the roasters to the baristas to the customers. Since 2005, they’ve been carefully following and controlling the whole process and brewing your cup however you like it, whether that’s French Press or Hario V60 pour over. The best part is, you can find them in five different San Francisco locations — the Mission, Haight-Ashbury, Bayview, Castro and Hayes Valley — so you won’t have to go far to track them down. If you ask a local craft beer fan which brewery serves the best beer in San Francisco, Cellarmaker will be at the top of the list. 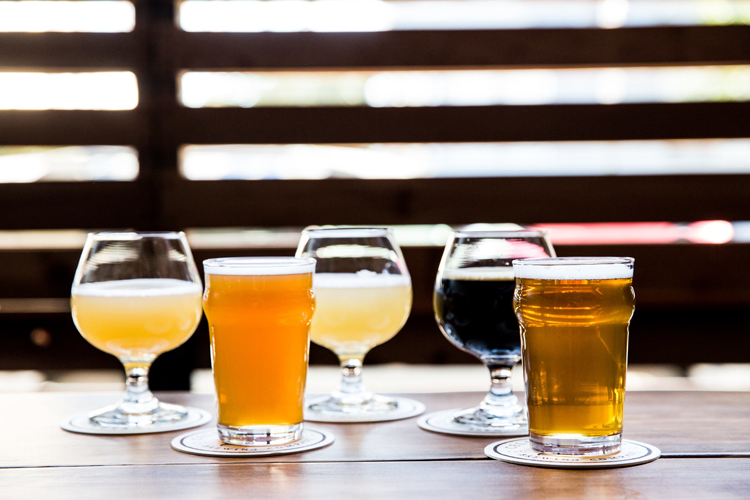 The goal at this SoMa brewery is to keep your taste buds intrigued by constantly producing different flavors and they do this by producing small batches of experimental beers. When you visit, you’re sure to taste something you’ve never tasted before and something you’ll want to take home. Housed inside a converted warehouse, Trick Dog is an unpretentious cocktail bar with world-class beverages. In fact, their menus have snagged the Tales of the Cocktail Spirited award for the world’s best — and it’s not just because of the drinks! Every six months, the team releases a new menu and every time it looks like anything but a cocktail menu. Past examples include paint swatch books, Chinese restaurant menus and a kid’s book called What Rhymes with Trick Dog? In the comments below, tell us all about your perfect one-day itinerary in the city!